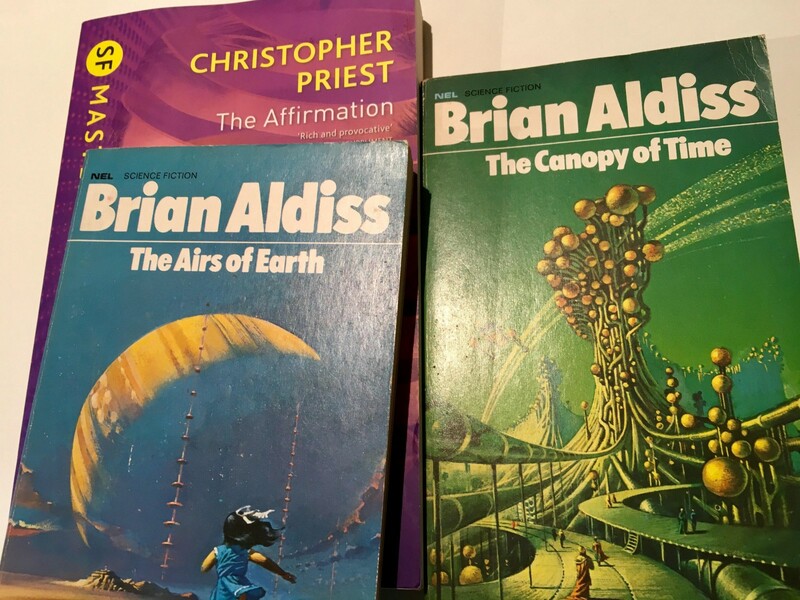 I’m trying to remember the first thing I read by Brian Aldiss. I think it might have been The Billion Year Spree, his encyclopaedia of science fiction. The library in my hometown had a copy when I was growing up, and I was devouring everything SF-related. Decades later I had the great pleasure of meeting the man. It was 2012 and I was in charge of putting together the line-up for that year’s dConstruct. I had the brilliant Lauren Beukes on the line-up all the way from South Africa and I thought it would be fun to organise some kind of sci-fi author event the evening before. Well, one thing led to another: Rifa introduced me to Tim Aldiss, who passed along a request to his father, who kindly agreed to come to Brighton for the event. 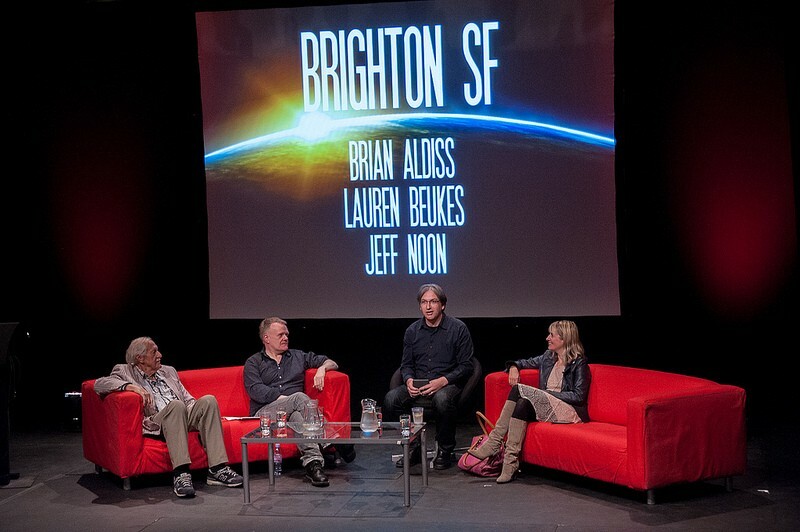 Then Brighton-based Jeff Noon came on board. The end result was an hour and a half in the company of three fantastic — and fantastically different — authors. That evening and the subsequent dConstruct talks — including the mighty James Burke — combined to create one of the greatest weekends of my life. Seriously. I thought it was just me, but Chris has also written about how special that author event was. Heliconia Spring — a deep-time epic …and I haven’t even read the next two books in the series! Then there are the short stories. Hundreds of ‘em! Most famously Super-Toys Last All Summer Long — inspiration for the Kubrick/Spielberg A.I. film. It’s one of the most incredibly sad stories I’ve ever read. I find it hard to read it without weeping.